MTN is surprising us again with another awoof as they have introduced new data plan, 4.5GB for N1200naira for us to celebrate Independence. MTN took to their Social media Handle this morning announcing the surprise pack. 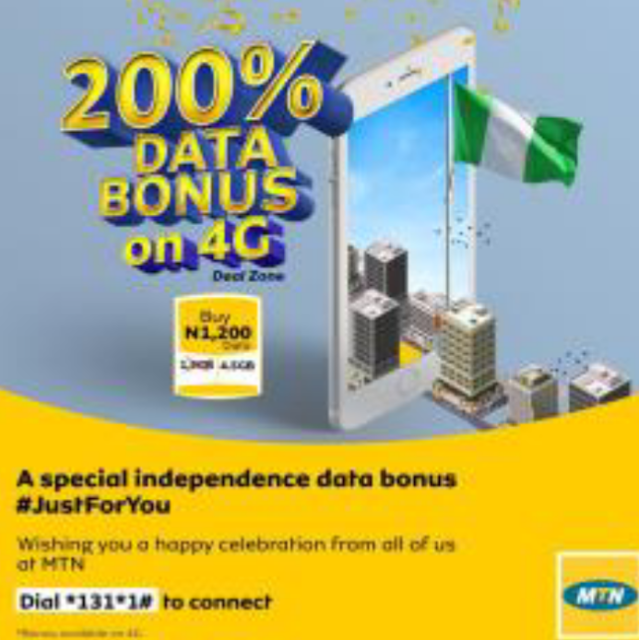 "In celebrating Independence we're giving you 200% bonus on your data subscription today. So, go ahead browse, chat, call, stream, download and do more on the 4G LTE network". Dial *131*1# and choose your preferred package. Note: Bonus available on 4G LTE only.